Yogurt is more than an excellent source of protein, calcium, and gut-healthy probiotic bacteria. A protein isolated from probiotic lactobacillus bacteria in yogurt is capable of inhibiting drug-resistant bacteria. Rachelle Allen-McFarlane, a doctoral candidate at Howard University, presented the the discovery and characterization of this protein on June 2 at ASM Microbe 2017 in New Orleans, Louisiana. "Considering the current upsurge of antibiotic resistance in hospitals, especially among the gram-negative bacteria, and the exigent need to find viable alternatives, findings from the study may hold promise for possible therapeutic application," Allen-McFarlane said in a press release from the American Society for Microbiology. Yogurt is made by adding lactic acid-producing bacteria to milk. As the bacteria grow, they produce lactic acid, which coagulates the milk protein casein, thickening and souring the milk. These globbed up proteins are then separated from the "whey" — the leftover water and milk protein called whey — forming the gloopy white stuff we call yogurt. The bacteria that do the curdling are probiotics — a word that literally means "good for life." Several different probiotic bacteria can be used to make yogurt; the most common are species of Lactobacillus, Streptococcus thermophilus, and Bifidiobacterium. Yogurt helps improve the bacterial community in the gut. These bacteria are responsible for digestion and maintain a healthy digestive tract. Studies associate a higher intake of probiotic yogurt with a lower risk of developing type 2 diabetes. Eating yogurt was shown to protect against colorectal cancer. Yogurt provides calcium and vitamin D.
Yogurt and other dairy products aid in weight and fat loss. Yogurt stimulates the immune system in the gut. It helps lower high blood presssure. It the potential to help with chronic pain, and brain conditions, like Parkinson's, Alzheimer's and autism. Now we can add another entry to the list — it inhibits multi-drug resistant bacteria. Allen-McFarlane isolated 68 lactic acid bacteria from commercial yogurt and cheese and added them to Staphylococcus aureus, Listeria monocytogenes, and Escherichia coli to test their antibacterial activity. These three bacteria cause dangerous, and deadly, diseases in humans. Almost all the probiotic yogurt bacteria were able to inhibit the three deadly bacteria, and one, Lactobacillus parafarraginis, was chosen to study further, to determine why. 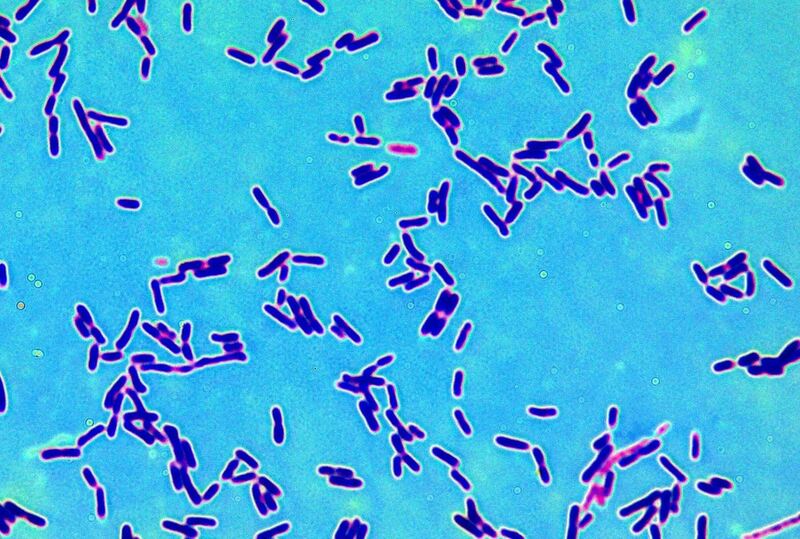 Lactobacillus parafarraginis inhibited 14 multi-drug resistant bacteria isolated from patients at a hospital in Washington, DC. The bacteria were Escherichia coli, Pseudomonas aeruginosa, Acinetobacter baumannii/haemolyticus, Enterobacter aerogenes, Proteus mirabilis, and Klebsiella pneumoniae. The finding was of particular importance because many of these disease-causing bacteria are becoming resistant to more than one of the antibiotics routinely used to treat them. The problem is so significant the Centers for Disease Control and Prevention have generated a list of bacteria that represent a threat to global health due to their growing antibiotic resistance. All the 14 multi-drug resistant bacteria inhibited by Lactobacillus parafarraginis are on this list. Analysis of the components of the bacteria showed that the inhibitory substance is a unique, bacteriocin-like protein. Bacteriocins are proteins produced and released by bacteria that have antimicrobial activity against other bacteria. The effects of bacteriocin from Lactobacillus parafarraginis eaten in yogurt aren't known yet, but it may prove to be yet another health benefit of this super food.